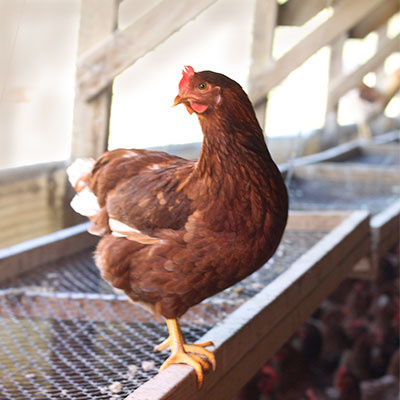 Great Valley Poultry in Manteca, CA raises healthy and strong chickens and sell their eggs to farmers markets. We have been organic certified since 2000 and pride ourselves in offering the most remarkable quality farm-fresh eggs to our clients in the Bay Area, CA. Don't take our word on how great our eggs are. Read the following testimonials from just a few of our many satisfied customers, and add more reasons to purchase your white and brown eggs from us! Try Our Egg Products Today! Why bother with commercially produced eggs when you can indulge in carefully, humanely, and organically produced ones? Here at Great Valley Poultry, we make your days and meals better with our farm-fresh eggs. Whether you are a fan of white eggs or opt for pastured eggs, we have the perfect products for you. Drop us a line today to learn more about what our farm has to offer.